California Atty. 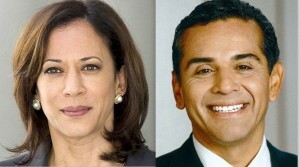 Gen. Kamala Harris may be leading the field statewide in 2016 race to replace retiring U.S. Sen. Barbara Boxer – we won’t actually know until we see some public polling data – but it appears that among Latino voters who say they’re likely to vote, former Los Angeles Mayor Antonio “Tony V” Villaraigosa is the clear favorite. A poll commissioned by California Majority Report – the partisan web site run by Democratic consultant Steve Maviglio – has found that among Latino likely voters, Tony V leads Princess Kamala 23-15%, with a whopping 35% undecided. Private Poll Worth Citing While Calbuzz seldom reports on private polling, in this case the pollsters — Bendixen and Amandi International – shared their methodology, their report to their client and answered all of our questions. And while CMR is rabidly pro-Democrat, Maviglio and co-publisher Jason Kinney, have no horse in the Senate race. According to the survey of 600 likely Latino voters, Villaraigosa at 23 percent and Harris at 15% are followed by Democratic U.S. Rep. Loretta Sanchez (11%), Democratic U.S. Rep. Xavier Becerra (8%), Republican Assemblyman Rocky Chavez (3%), and Republican Fresno Mayor Ashley Swearengin (2%). Democratic U.S. Rep. Adam Schiff, former Republican Party chairmen Duf Sundheim and Tom Del Beccarro each received one percent. In a head-to-head matchup, Villaraigosa leads Harris 44-29% among Latino likely voters. “This race is wide open and fluid,” said pollster Fernand Amandi, noting that 59% of voters said they could change their mind by the June 2016 election with only 38% firm in their decision. Fifty-six percent of Harris voters said they could change their minds, while 51% of Villaraigosa voters said the same. While the results might encourage Tony V to make a decision to enter the race – knowing that he would have a good chance of rallying Latino voters – it would mean little in a statewide contest unless he were able to get those voters motivated to turn out. That’s a serious challenge: In November 2014, Latinos comprised just 15% of the statewide vote, slightly below the average Latino proportion of the vote (17%) over the past six election cycles, according to date complied by pollster Jim Moore of Sacramento. Who Likes Whom? The pollsters tested the images of the candidates and some other political leaders and found Villaraigosa with the highest positives (55%) and highest negatives (21%) while Harris had an image that is only 32% positive but just 9% negative. These are mixed blessings: 76% of Latino voters already have an opinion about Tony V but only 43% have an opinion about Princess Kamala. Tony V’s net positive rating is 34% positive; Harris’s is 23% positive. Latino voters barely know who the potential Republican candidates are, but there is one Republican political figure they know and kinda like – Condoleeza Rice, the former Secretary of State who has made no indication that she’s thinking of running for Senate despite the fervent dreams of many Republican partisans. According to the survey, Rice’s positive image among Latino voters is even stronger than Harris’s – 48% positive and 20% negative – a 68% recognition level with a 28% net positive rating. If she were to get into the Senate race she’d start from a pretty strong base among Latino voters – at least until she took stands on issues like pathway to citizenship, abortion, climate change, national medical insurance and gay marriage. The strongest image among any political leader tested was Hillary Clinton, at 72% positive and 21% negative – a recognition level of 93% with a 51% net positive rating. 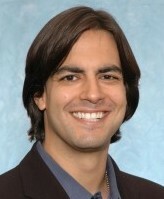 One leader who has a lot of work to do among Latinos is Lt. Gov. Gavin Newsom who, on Wednesday, announced he’ll be running for governor in 2018. Newsom’s positive was 25%, his negative 14%, for a net positive of just 11% and a recognition level of a paltry 39%. For a more complete summary of the survey, try California Majority Report. The survey by Bendixen and Amandi included a random sample of 600 California registered voters who identified themselves as Latino and said they were likely to vote in the Senate race in 2016. They were called on landline and cell phones by live, bi-lingual interviewers between Jan. 30 and Feb. 2. The margin of error in the survey is +/- 4%. Kamala vs. Condi would be a fun race. Harris is an empty suit. I’d much rather have someone who has served in the House. Do regional turnout issues affect Villaraigosa? No doubt. There are a lot more voters in LA but the Bay Area has higher turnout.